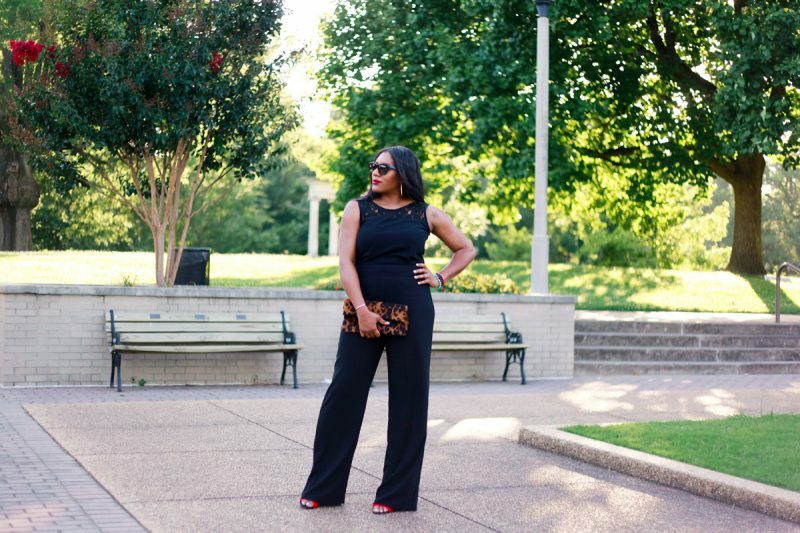 One of my all time favorite style combinations is black, leopard, and red! It can come in any shape or form. I absolutely love it!!!! 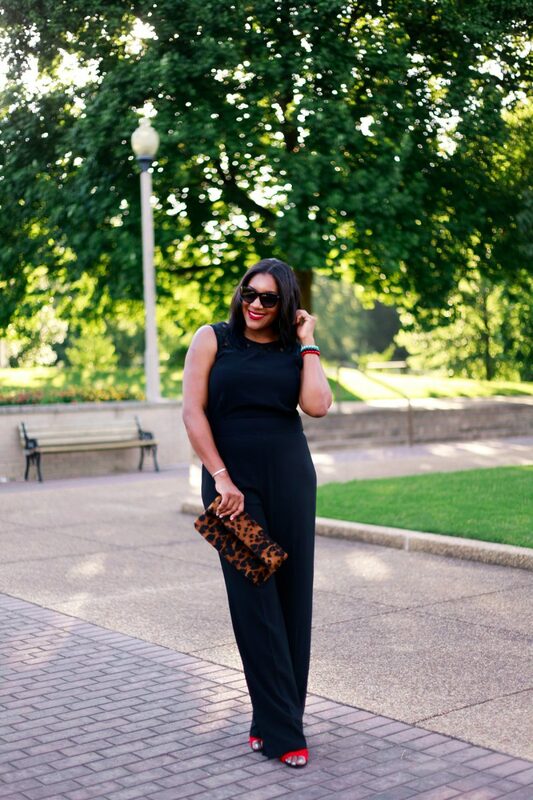 The red sandals and leopard clutch brought this little jumpsuit to life. 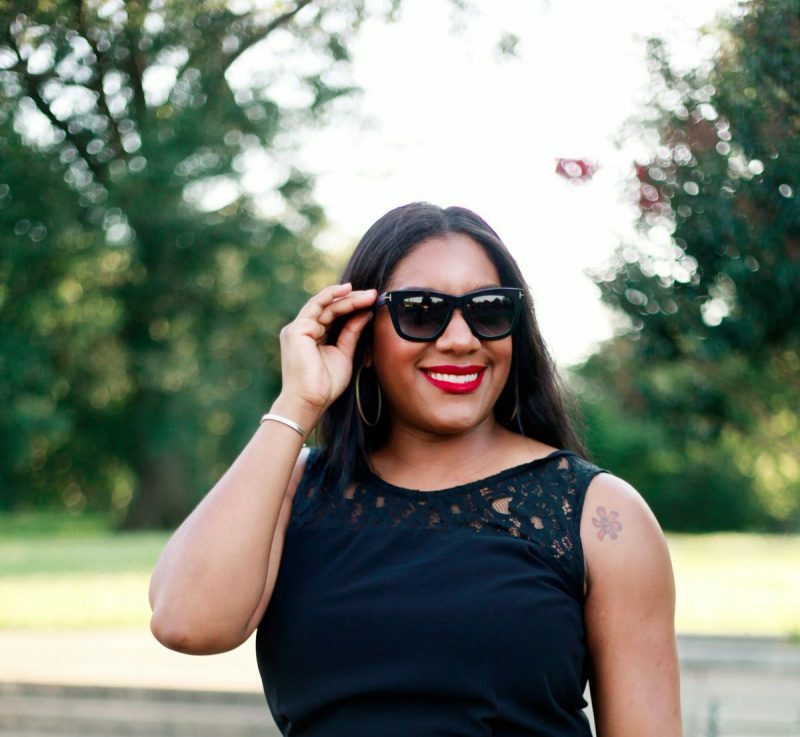 It is perfect for an evening out with Dr. Superman (or whoever your significant other is), an all black affair, or any other occasion when you want to be classicly chic and super cute! 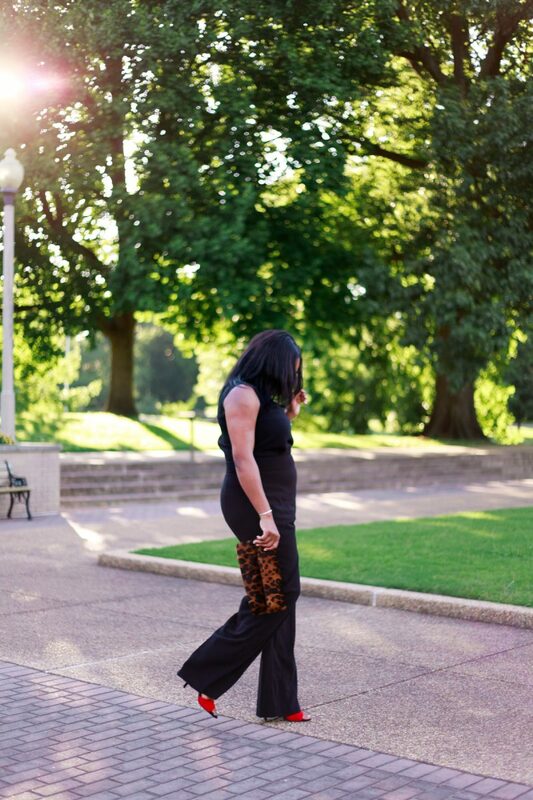 According to Q, when getting dressed, classic never fails! 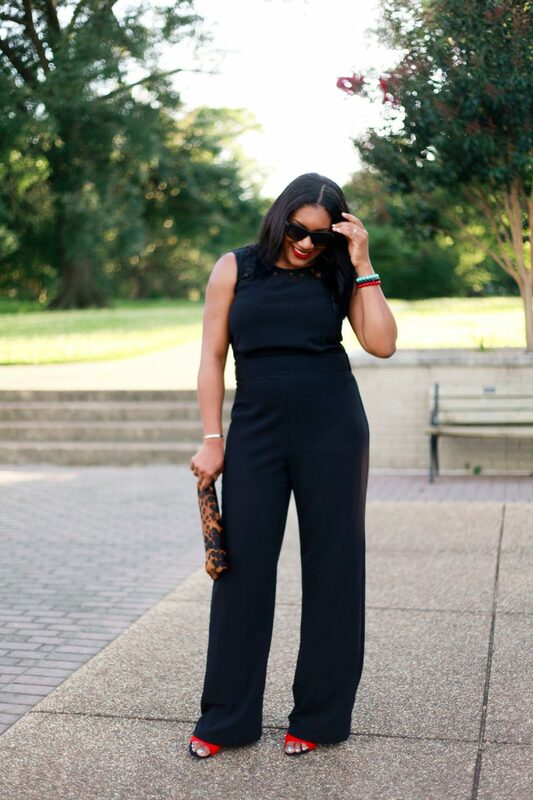 Black is appropriate for ANY occasion. 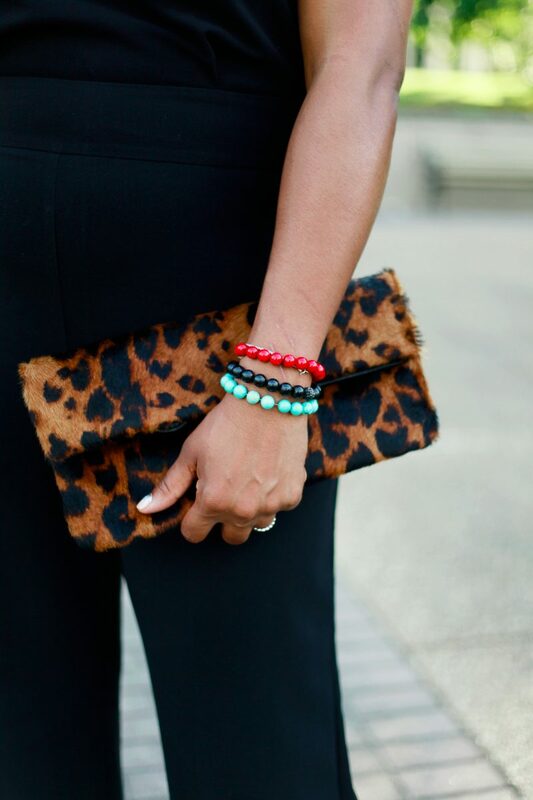 Grab some leopard with splashes of red to add a little jazz and a lot of style. 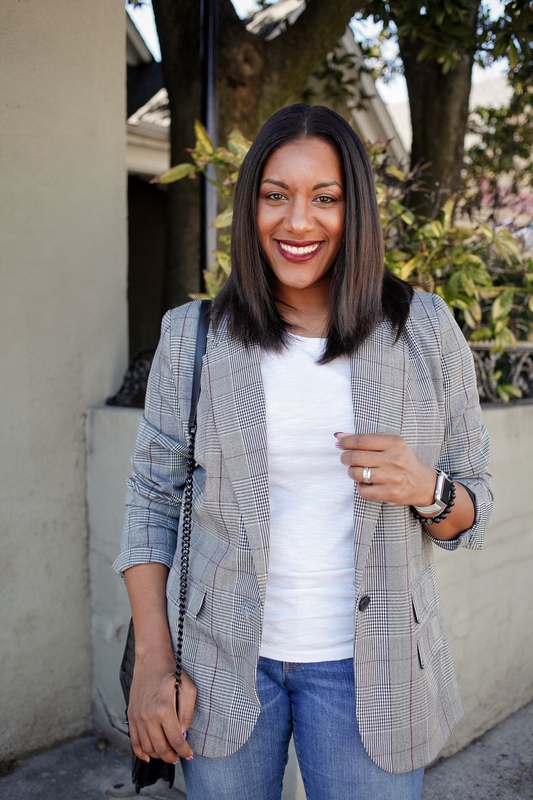 Cheers to classic combos that will never go out of style!